The "Titan" offers us a large 9.7 inch IPS display with a resolution of 2048 x 1536 pixels - exactly as in the retina iPad. All other specifications which do not just point to a tablet titans, but rather to mass production. As a 1.6 GHz dual core processor A9 is installed, supported by a GPU Mali 400 and the RAM is 1 GB. 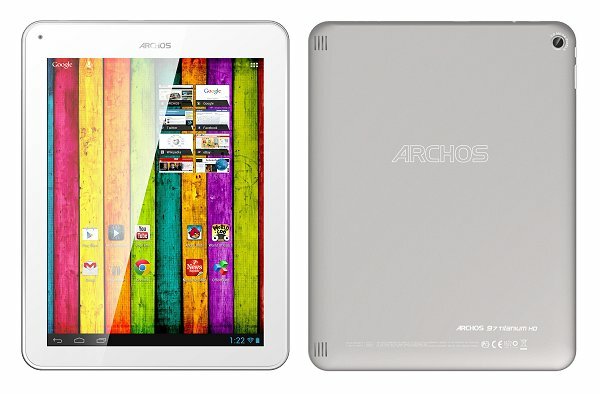 What we do not know: how expensive the Archos 97 Titanium HD should be. We have on one side the great display, on the other side of the other, rather average specs. This suggests (or hope) that we could here Archos offer a high-resolution device for a relatively small price. Let's wait until we have more information Archos says it - then we can probably disregard that chances of success, the company will have with this tablet.